Oh my. This hilarious advertisement appears on the back cover of the March 1980 issue of the short-lived sci-fi magazine Future Life. 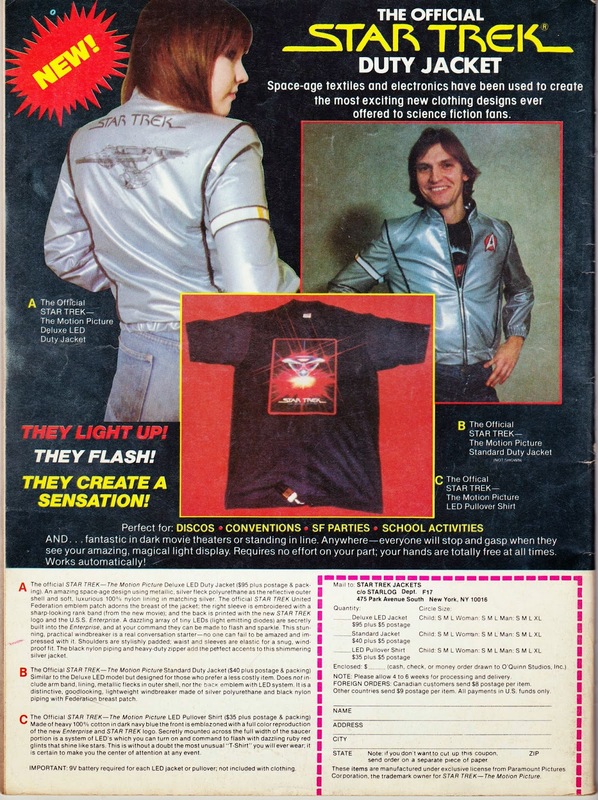 The official Star Trek duty jacket and T-shirt featured in this ad were truly "space-age" because they had ... embedded LED lights! "THEY LIGHT UP! THEY FLASH! THEY CREATE A SENSATION! If you had one of these jackets and you wore it to the disco, PLEASE contact me immediately. I need to hear your story. "The official STAR TREK — The Motion Picture Deluxe LED Duty Jacket ($95 plus postage & packing).2 An amazing space-age design using metallic, silver-fleck polyurethane as the reflective outer shell and soft, luxurious 100% nylon lining in matching silver. The official STAR TREK — The Motion Picture Standard Duty Jacket, which cost $40 and was for "those who prefer a less costly item." It had no LED system or metallic flecks. It was basically an ensign-level jacket. The official STAR TREK — The Motion Picture LED pullover shirt for $35. (This is the item pictured in the center of the advertisement.) "Secretly mounted across the full width of the saucer portion is a system of LED's which you can turn on and command to flash with dazzling ruby red flints that shine like stars." 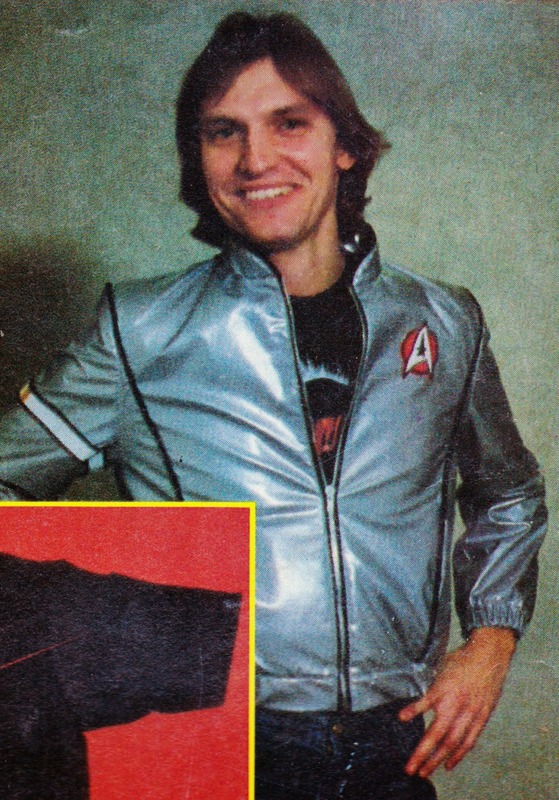 Perhaps Star Trek: The Motion Picture is to blame for this jacket. It was a rather dull and cheesy affair, and maybe this piece of clothing reflects (no pun intended) that uninspiring film. I wonder if they came out with Star Trek-themed clothing for 1982's Star Trek II: The Wrath of Khan. 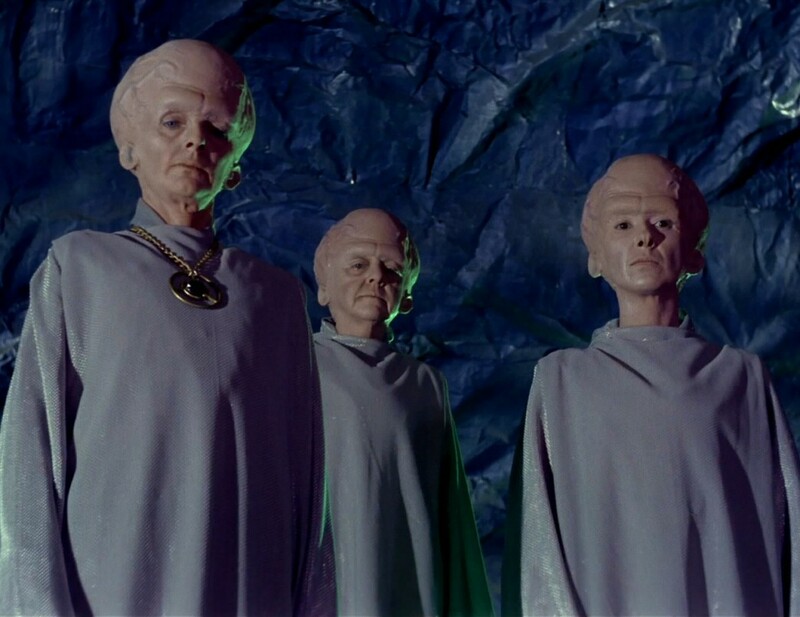 Some threads inspired by Khan Noonien Singh and his gang of super-humans would have fit in perfectly in the Flashdance era. 1. I hope Earth wasn't being silently judged by aliens when this jacket was unleashed upon the world. 2. The $95 cost in 1980 would be the equivalent of about $260 today. I don't know what the cost will be around 2266, when Kirk takes the Enterprise out on its five-year mission. And I probably won't still be blogging then. 3. "IMPORTANT: 9V battery required for each LED jacket or pullover; not included with clothing."